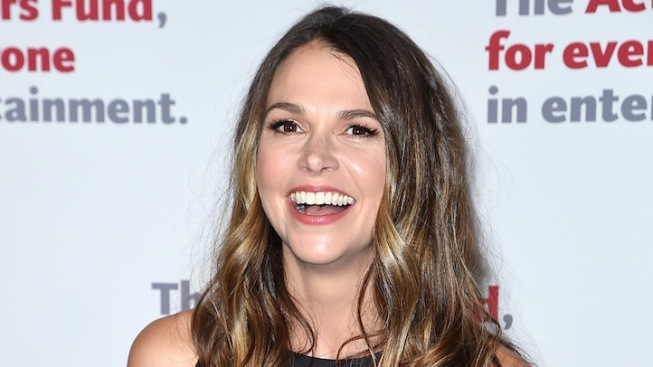 Sutton Foster will return to the stage in "Sweet Charity." The New Group's 2016-2017 season will begin in November with a revival of the 1966 musical "Sweet Charity," starring two-time Tony winner Sutton Foster ("Anything Goes," TV's "Younger"). The production will be timed to the 50th anniversary of the classic musical, which features a book by Neil Simon, with music and lyrics by Cy Coleman and Dorothy Fields, respectively. Leigh Silverman ("Violet") directs, with choreography by Joshua Bergasse ("On the Town"). This won't be the first time Sutton has performed "Charity." The actress famously sang "If My Friends Could See My Now" in the season 1 finale of her now-canceled show "Bunheads." Closing out The New Group's season in May 2017 will be Maura Tierney ("Lucky Guy," TV's "The Affair") and Zosia Mamet (TV's "Girls") in the world premiere production of "The Whirligig." The play marks the playwriting debut from actor Hamish Linklater ("Seminar," TV's "The New Adventures of Old Christine"). The play, directed by Scott Elliott ("Avenue Q"), casts Tierney as a mom caring for her estranged, drug-addicted daughter. Mamet plays the daughter's lost friend, desperate to reconnect before it's too late. In between, Elliot will direct another play for The New Group by an actor/playwright -- Wallace Shawn's "Evening at the Talk House." Shawn, known as an actor for roles in "Clueless" and "The Princess Bride," premiered the play in 2015 at the National Theatre, and tells the story of a group of actors who reunite on the 10th anniversary of the opening of their flop play. Previews begin in January, with a run through March. Erica Schmidt's "All the Fine Boys" will make its world premiere in February. The play is set in suburban South Carolina in the late '80s, and tells the story of two 14-year-old girls and the adventures the two best friends they have while they begin dating. All productions in The New Group's season take place at the Pershing Square Signature Center, at 480 West 42nd Street. Subscriptions and memberships are now on sale at www.thenewgroup.org.